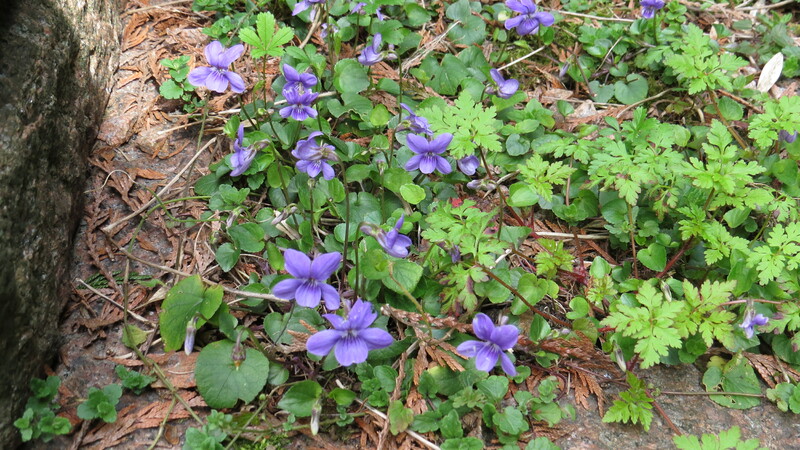 Dear Readers, I wanted to feature the dog violet as a Wednesday Weed before it finishes flowering. 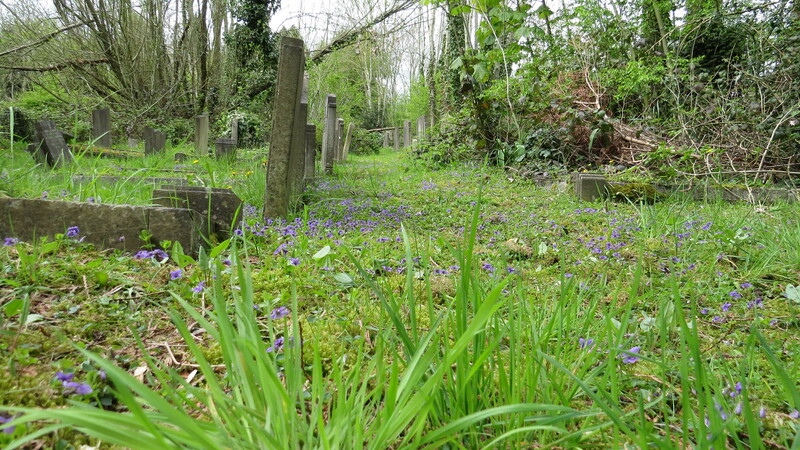 There is a fine bed of it in the cemetery, stretching back between the trees for about 30 metres, and it gives the whole area a purple-blue haze. Identifying violas to the species level is actually very difficult, but I have gone along with this being Common Dog Violet because, as its name suggests, it is our commonest species, and because several diagnostic features are right: for example, the ‘spur’ at the back of the flower is lighter than the petals in this species, and the lines on the lower petal, the ‘nectar guides’, are very pronounced. 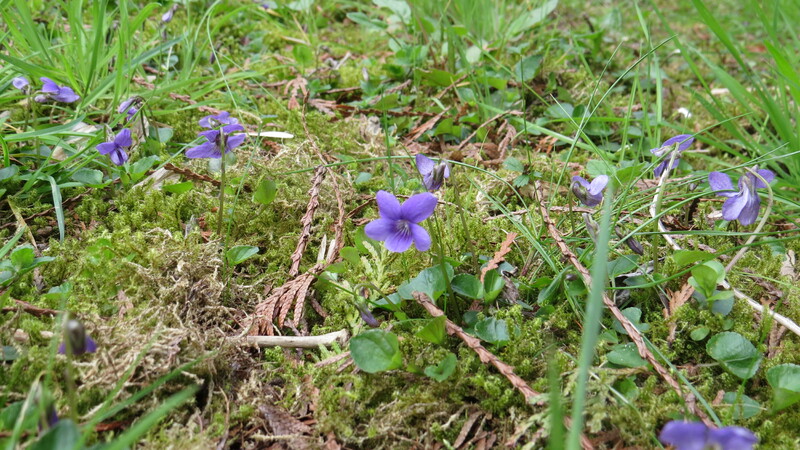 At the beginning of the Twentieth Century, there were thought to be over forty species and subspecies of violets, including many hybrids, but in his New Flora of the British Isles, the inimitable botanist Clive Stace has trimmed it back to twenty eight species, sub-species and hybrids. Although I am not a great lover of Wordsworth’s poetry (too many weeks spent studying ‘The Lyrical Ballads’ for my A Levels I fear), I do find his poem ‘The Lost Love’ very moving. I think we can all identify with the final lines. Many of the folkloric associations of the violet have to do with its assumed modesty. One of the goddess Diana’s nymph companions was changed into a violet to protect her from being ravished by Apollo. In the Victorian ‘language of flowers’ they represent delicacy in love. It is also said that violets bloomed wherever Orpheus put down his lute. So, why ‘dog’ violet? It is thought that this is to distinguish this plant from the perfumed ‘sweet violet’ (Viola odorata), which I have not yet managed to find. It is this scented species which has been used in perfume-making since medieval times, and I well remember that when we used to holiday in Devon as children, every gift shop had a heady aroma of ‘Devon Violets’ perfume, which was inclined to give my mother a migraine. There were also violet-flavoured sweets, and a violet liquer (which was a violent violet colour) called ‘Parfait Amour’. These days, I limit myself to a box of rose and violet creme chocolates at Christmas, though I can scoff the lot in under an hour if left alone with them. 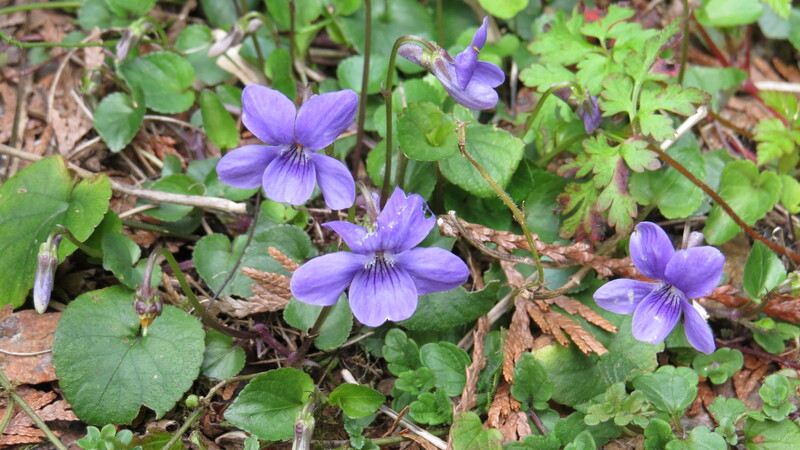 Many of the medicinal uses of violets relate to the Sweet Violet, but according to The Modern Herbal website, Culpeper refers to the leaves of all species as being useful in a poultice for inflammation, and to relieve ‘pains in the head through lack of sleep’. An infusion of the flowers and leaves is said to assist with the symptoms of throat complaints, including cancer. The root is said to be extremely emetic and purgative. Mixing thirty-six violet leaves with melted lard is said to produce an ointment which can be used for swollen neck glands. 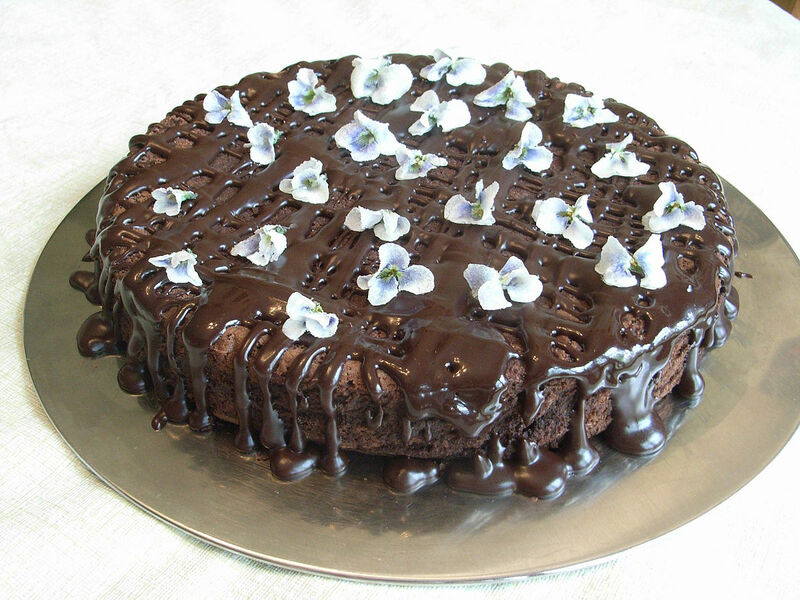 If violets are to be used for flavouring then Sweet Violet will be used, but the flowers of Common Dog Violet can be used to pretty-up salads, or, crystallised with egg white and sugar, to adorn cakes. I’m not sure if the cake below quite sums up the delicate effects that I’m sure can be achieved but hey, I’d eat it. As we might expect, the violet has also been part of the work of many artists. 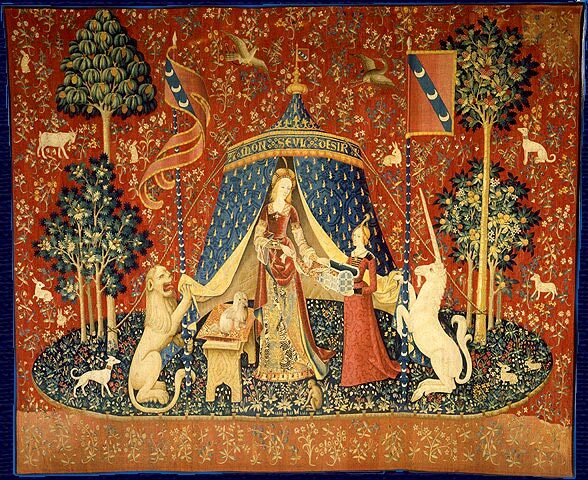 It is included in the garden of ‘The Lady and the Unicorn’ tapestry, made in Flanders in the sixteenth century. Here, it is symbolising modesty, as usual. The Lady and the Unicorn, from the Musee de Moyen Age, Paris. 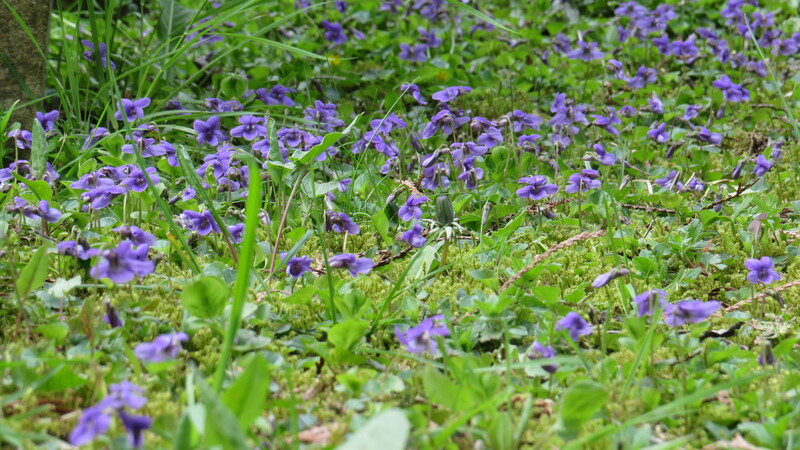 The violets form part of the meadow beneath the feet of the Lady and her various creatures. 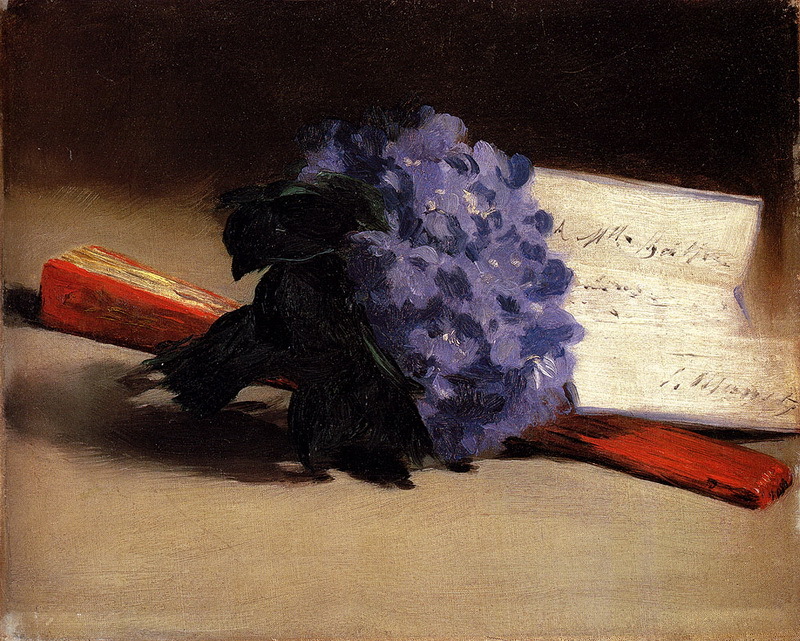 By the time of Manet, it was being used for its colour and form rather than for its symbolic value. In the picture below, I love the juxtaposition of the flowers against the red fan, and the lavender-edged writing paper. I also enjoy the way that the flowers are seen here against the darkness. I remember that Napoleon scattered Josephine’s coffin with the flowers of violets. And, to link back to the association of violets with death and sorrow, have a look at this Magritte picture, titled ‘La Grande Guerre’ (‘The Great War’), from the Magritte Gallery The face of the woman is replaced by a posy of violets, such as one might throw onto a coffin. How intent we are on attaching symbolic value to flowers, which are actually the fierce face of a plant’s determination to reproduce itself. And how interesting that a violet can be a symbol of melancholy, of modesty, and of the dreaminess of a summer evening, all at the same time. This entry was posted in London Plants on May 18, 2016 by Bug Woman. Violets make the most beautiful jelly. I am with you on a box of violet creams! 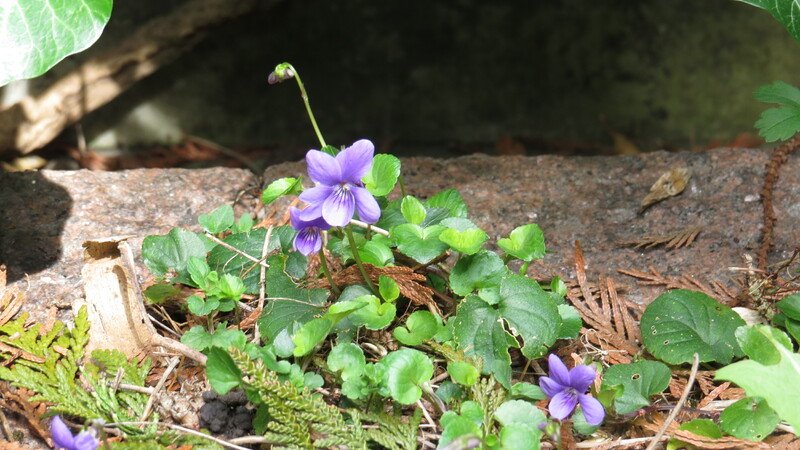 Devon Violets perfume definitely too heady…andwhat an interesting post…violets in art and literature as well as horticulture and medicine. Many thanks!